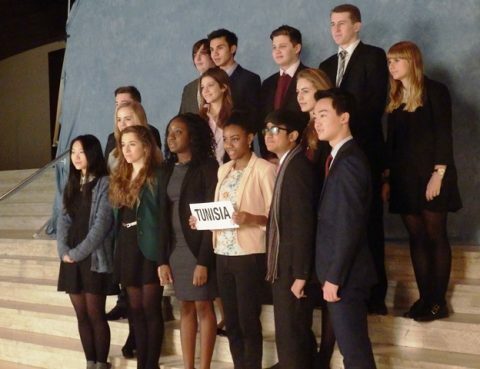 29 Royal Russell students have made a great start to the THIMUN conference in the Hague. The students flew out on Sunday 26th Jan 2014 and after a half day in Amsterdam visiting Anne Frank’s House they moved on to the Hague. On Monday the delegates were busy lobbying and many later co-submitted their resolutions….